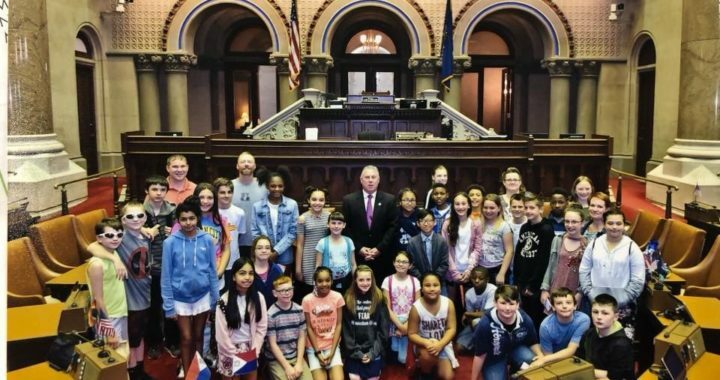 Van Rensselaer Elementary’s Community Service Club, Ram Pride Press, as well as VR’s Student Council visited Albany for a tour of our State Capitol, in addition to a visit to the Corning Tower Observation Deck, and the NYS Museum. We ended our amazing tour with a visit with Assemblyman John McDonald in the NYS Assembly Chamber. We got to sit in the Assembly Members’ seats and had some question and answer time. 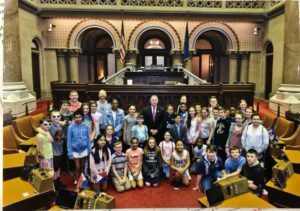 We are so grateful that Assemblyman McDonald took the time out of his busy day to spend time with us, and are also grateful to VRES PTA for sponsoring our cost for this trip.